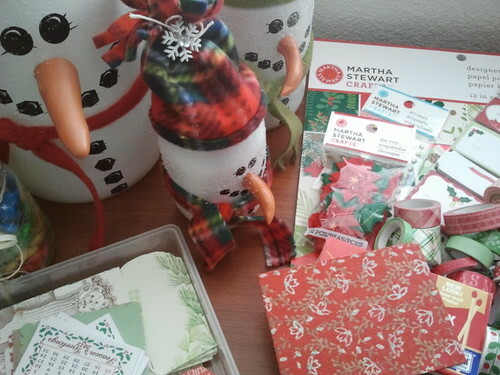 I am working on some Christmas crafting. 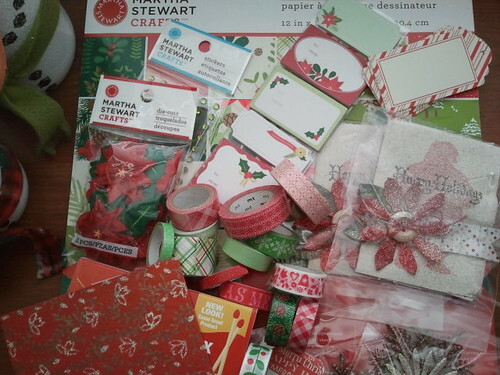 I am also working on gift wrapping as I was so inspired by Sasha's Christmas gift wrapping presents post. My mom bought the snowmen above for me. Richard made those. He made them using storage jars. 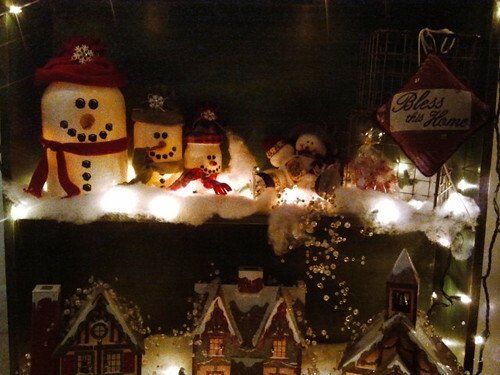 Those snowmen as so cute. I just have to know "What are the noses made of?"